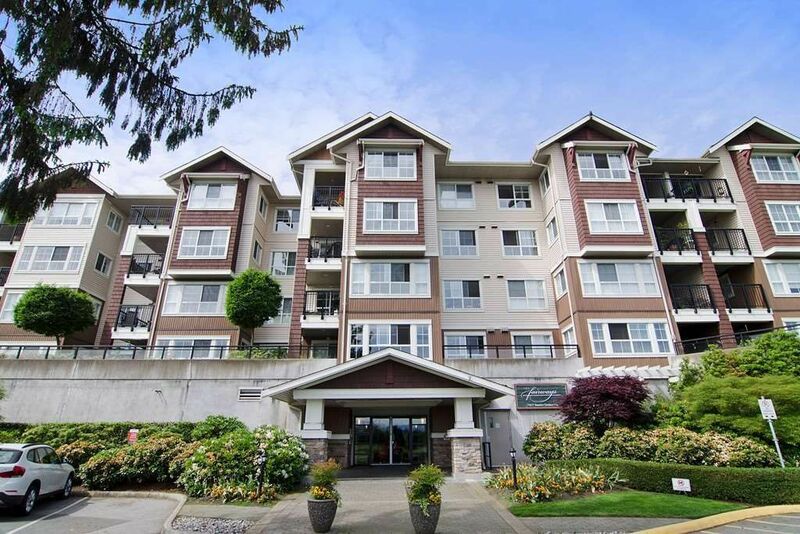 Bright and immaculate 2 bedroom & den unit. Large unit with satellite bedrooms. Private balcony overlooking gardens & partial golf course view, ALSO view from living room to golf course as well. Open plan, loads of cupboards, stainless steel appliances, granite counters with large island. There's a separate den that makes a great office. Amenities include sauna, exercise room, bike storage, lounge, 2 parking spaces plus storage locker. Open September 10/11, 2-4 pm. Come take a look!! Immediate possession available! !